The joint-stock company Quartz together with the Chinese company Shanghai Pony technology Co. Ltd began the construction of a production line to produce 400 tons of ground building glass per day. The joint-stock company Quartz together with the Chinese company Shanghai Pony technology Co. Ltd began the construction of a production line aimed at the production of 400 tons of ground building glass per day, in Kuvasay in Fergana Region, eastern Uzbekistan. They are paying particular attention to increasing the volume and quality of products by studying and introducing international experience and modern technologies in the production of glassware. 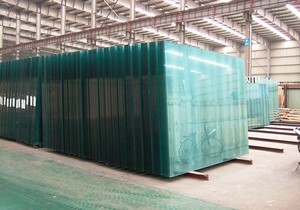 For example, in the manufacture of glass products, metal forms are important. Therefore to produce glass products that meet modern design requirements, the latest models of machinery have been delivered from the US. Quartz Joint-Stock Company is one of the leading enterprises in Central Asia producing sheet coloured, tinted and tempered glass, glass jars and bottles, operating since 1975 in the domestic market and exporting to many countries like Kazakhstan, Turkmenistan, Tajikistan, Kirgizstan and Afghanistan.